Most of our experiences with ramen have been on the level of cheap college eats. You know…a hockey puck of dried noodles, a cup of hot water, and a packet of who knows what to make it at least palatable. 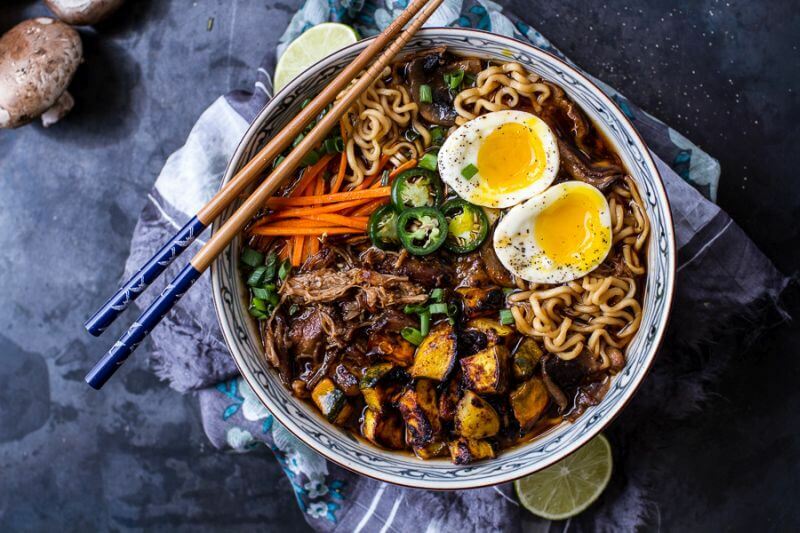 Well, it can be so much more than that, and these healthy ramen recipes are the ultimate introduction to gourmet noodling. So if you’re ready to transform those packets of plain-Jain noodles into something special, you’ve come to the right place! This isn’t going to take as little time as making ramen according to the package instructions. You’ll need about 20 minutes of active cooking time, so prep the veggies beforehand to get dinner on the table fast. Luckily, there’s not much to do. Grate some fresh ginger and garlic to start. The chopped kale and shredded carrots go in the pot last, so if you’re good at multi-tasking, take care of that prep work while the noodles cook in a mushroom broth. 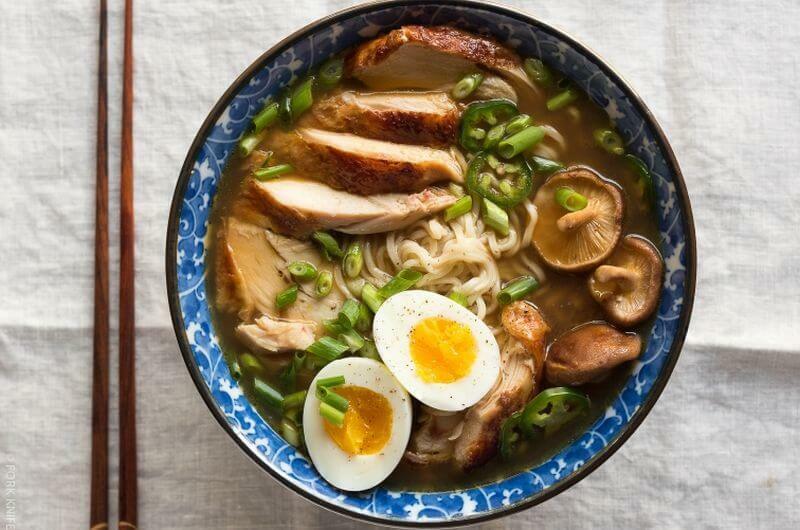 When you want real chicken breast for dinner, you probably aren’t thinking ramen. But in this recipe, you can enjoy them both. This is an extremely filling bowl of ramen with almost 900 calories per serving. Yet by using chicken, there’s less fat than when using lean pork. For even more protein, you can also soft-boil a couple whole eggs in the broth while the noodles cook. 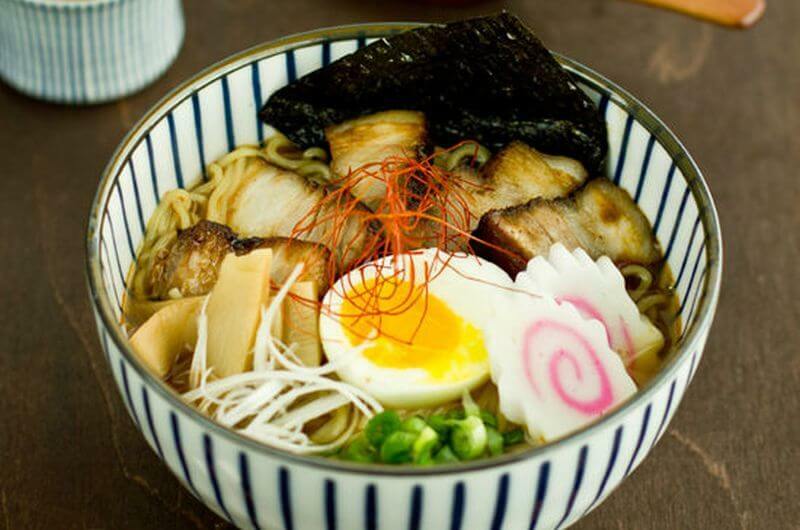 Pork is a staple in ramen, but often it’s sliced thin and cooked in the simmering liquid with the noodles. In this recipe, a large pork roast is prepared with the soup in a slow cooker. 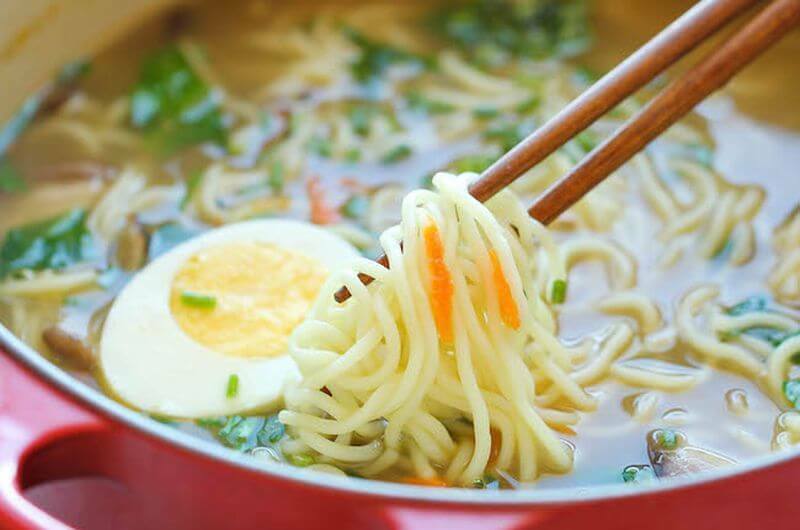 That’s right – ramen is known as a quick convenience food, but you can also prepare the broth in your Crock-Pot and let the flavors meld all day. Add the noodles right before dinnertime, and you’ll be rewarded for a little morning work in the kitchen. Although that preparation is contemporary, a traditional topping is recommended for this ramen: soft boiled or fried eggs. The popular noodle dish originated in Japan, but ramen has spread throughout Asia (and of course to the U.S. too). 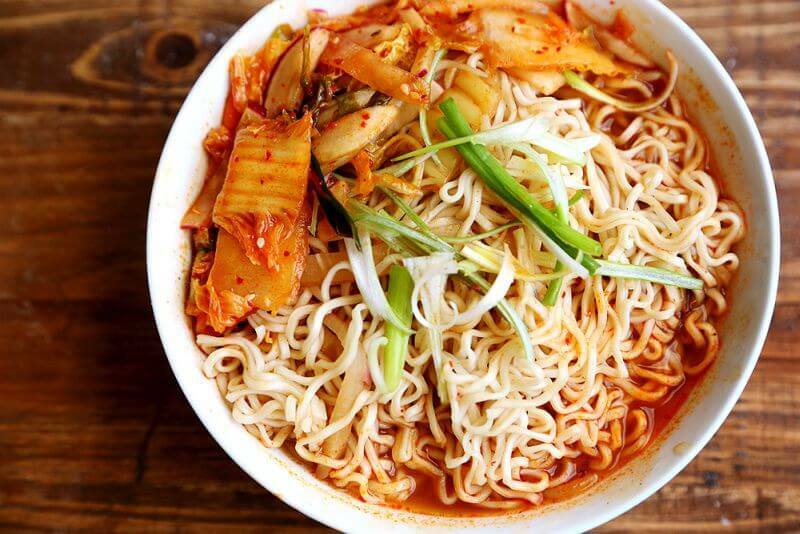 What better way is there to add flare to Korean ramen than kimchi? The flavors are also lighter with white rice wine, bean sprouts, and smoked paprika. But depending on how heavy-handed you are with the red chili flakes, this bowl of ramen can get quite spicy! This version of ramen ditches the packet completely. You can still use the block of noodles if it’s more convenient, but it’s better to grab some thin egg noodles instead. 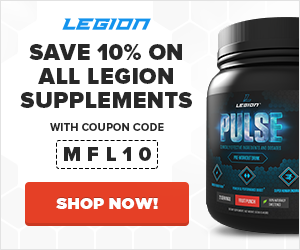 They have similar macros, but egg noodles tend to contain more macronutrients like magnesium and niacin because they’re made from multiple ingredients, not just wheat flour. 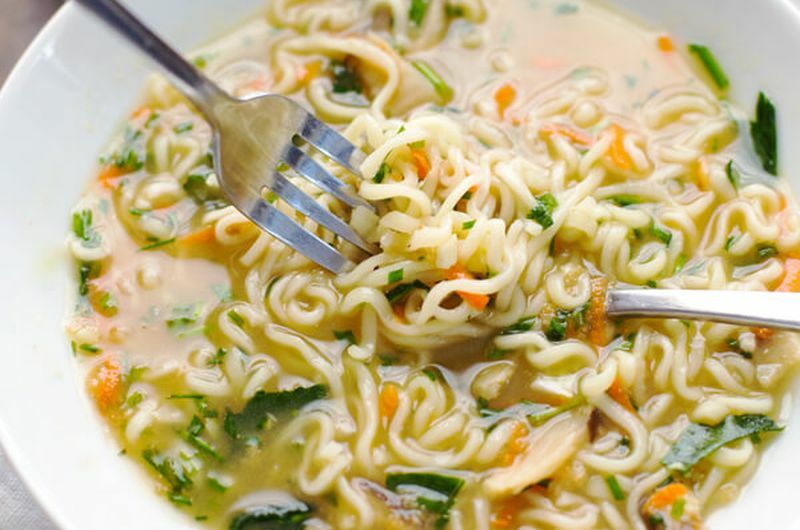 Despite the name, egg noodles won’t boost protein. So if you want a more filling meal, double the roast pork in this recipe. Instant ramen noodles are ready in minutes, making it hard to trade in the easiness of eating them for time in the kitchen. But with this recipe, you can replace one convenience with another by using your slow cooker. All you have to do is put beef and seasonings into the pot, and then cook on low all day. Before serving, add coconut milk, chili paste, and the ramen noodles. The final result tastes like a Thai curry rather than salty packaged ramen. 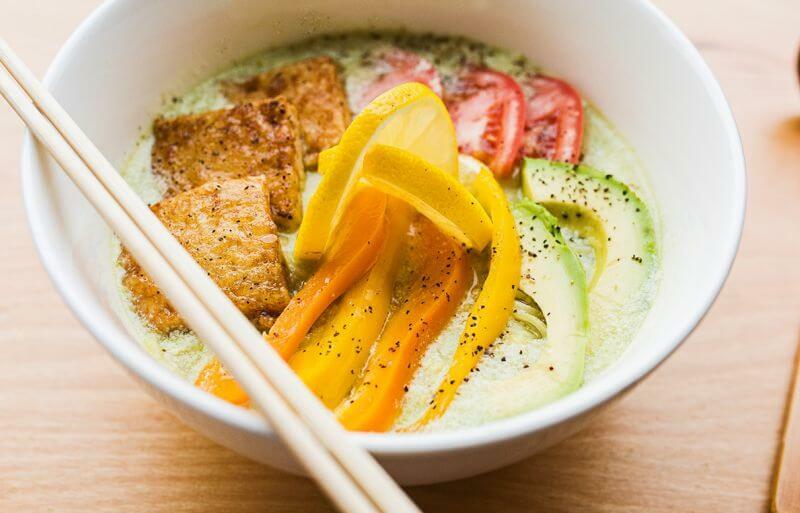 This vegan ramen is like a California roll in a bowl. 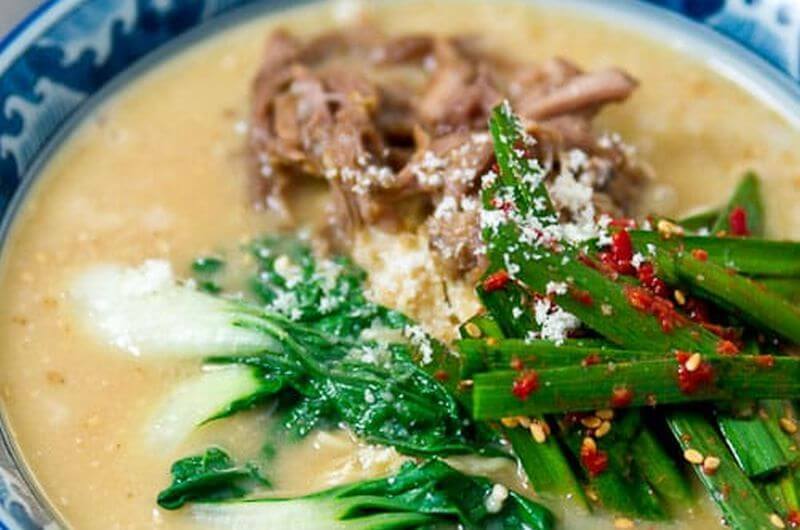 But this recipe comes from Takatoshi Nagara of NYC’s Mr. Taka Ramen, where you can order this – only overloaded with even more fresh produce like zucchini, mushroom, and leeks. 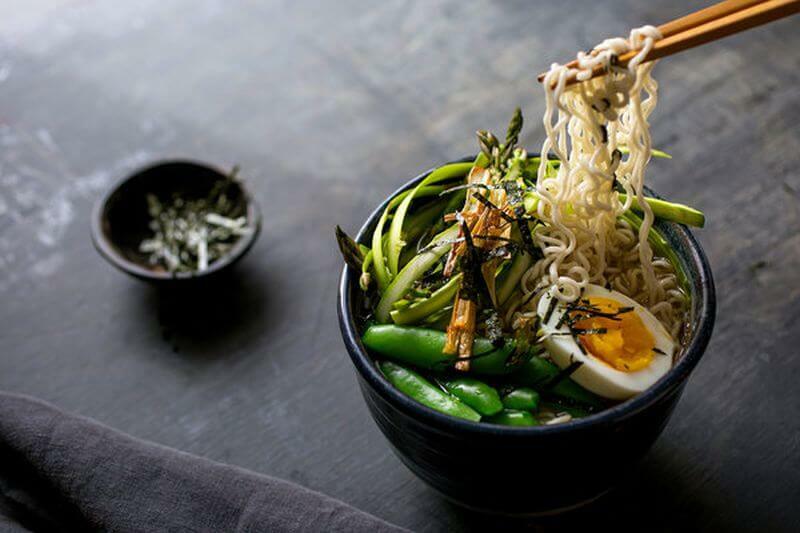 In fact, this vegetarian ramen can help you use up the best of the farmers’ market, which varies depending on what’s in season. When you just need a single-serving of ramen that’s almost as easy as stirring in the included packet, remember this recipe. These simple noodles hardly need any seasoning – just chicken stock, soy sauce, sesame oil, and a touch of sugar. You can enjoy this bowl of ramen as is, or blanch some veggies in a separate pot. That just means to boil them for about 5 minutes and then rinse the vegetables in cold water so that they don’t overcook. And like most ramen dishes, you can also add an egg. Upgrading from packaged ramen to the real deal can be intimidating. Now you have to mince garlic and are responsible for your own seasonings. But never fear! 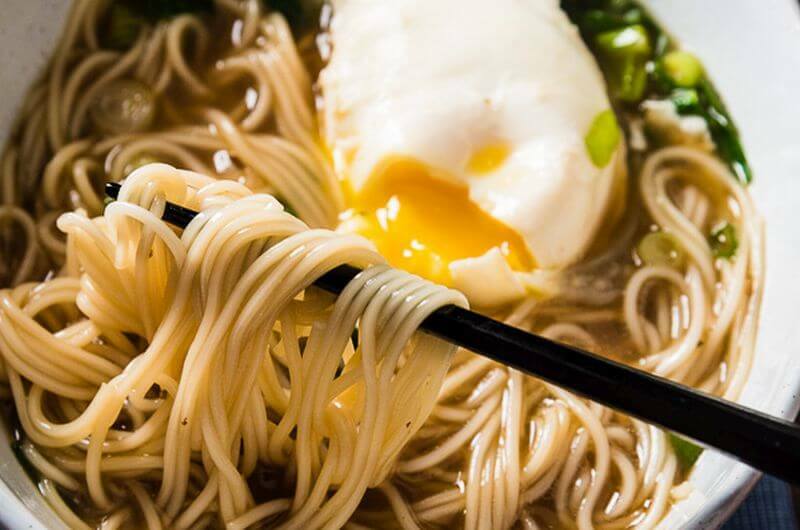 This easy ramen recipe is a great place to start when you’re feeling like a noob in the kitchen. All you need is a big stockpot or Dutch oven. Heat up some oil in there, add ginger and garlic, and once you begin to smell them cook, whisk in the liquids. Add mushrooms to cook, and when they begin to soften, toss the noodles in the pot. The greens go in at the last minute to wilt. Instant ramen doesn’t have enough flavor for you? That’s because those seasoning packets usually contain little more than bouillon, salt, and MSG. But that’s not the only reason to upgrade. This homemade ramen is more of a Sunday dinner than a weeknight meal since it takes a couple hours to cook, but the promise of shrimp and bacon noodle soup will motivate you to make it soon. 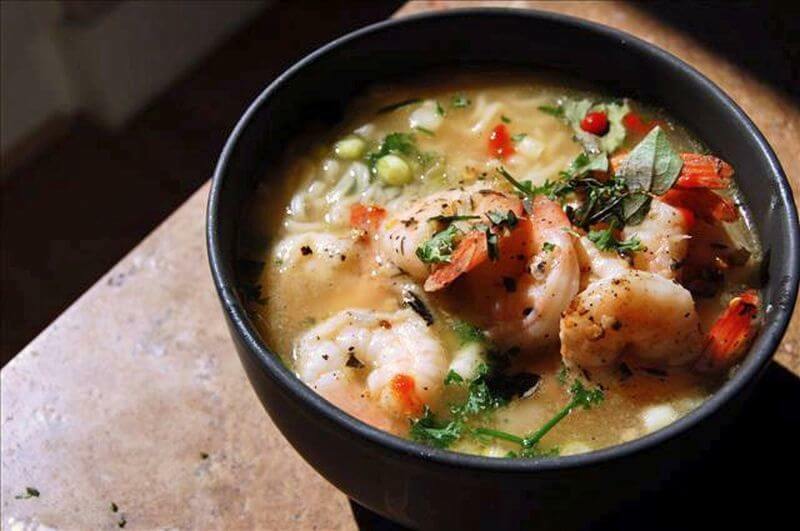 Ramen noodles are usually cooked for a savory soup, and yet they can be used in other dishes too. Here they bulk out an Asian slaw with cabbage, carrots, and green onions. There’s also chicken breast to make this a whole meal. 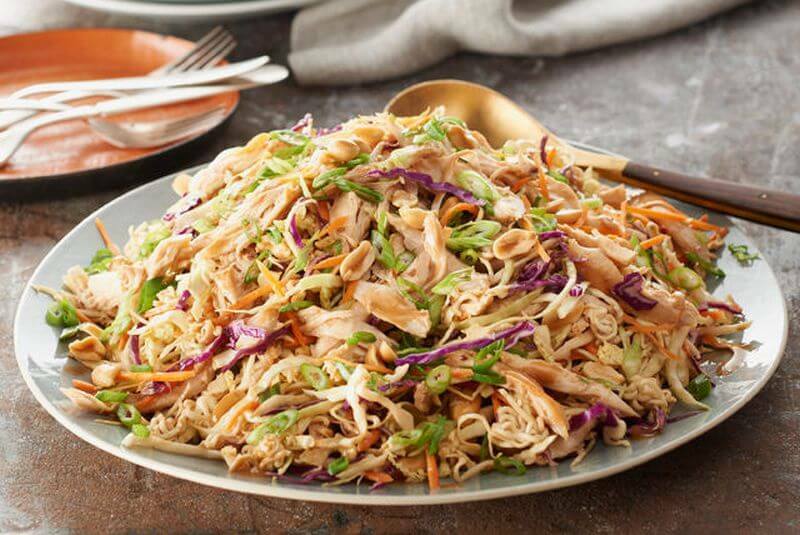 This is an easy chicken salad to cook because the meat is boiled with fresh ginger and salt. The noodles are crumbled and toasted with almonds and sesame seeds – just don’t wander away from the oven in case they burn. Then you just have to whisk together the dressing (or shake it in a jar), shred the chicken, and mix it all together in a big bowl. If there’s only one thing that stops you from eating instant ramen, it’s probably the lack of protein. You’d be better off eating stir-fry or just a sandwich stuffed with deli meat. But this from-scratch ramen is easy to make, and it includes four ounces of your favorite protein. Use this ramen recipe to repurpose a leftover roast, or prepare a simple marinade to sauté some shrimp, chicken breast, or tofu to add to the bowl. Cooking any surf and turf will require a little extra work in the kitchen. But you’ll be rewarded with two – or more! – kinds of protein in one glorious meal. 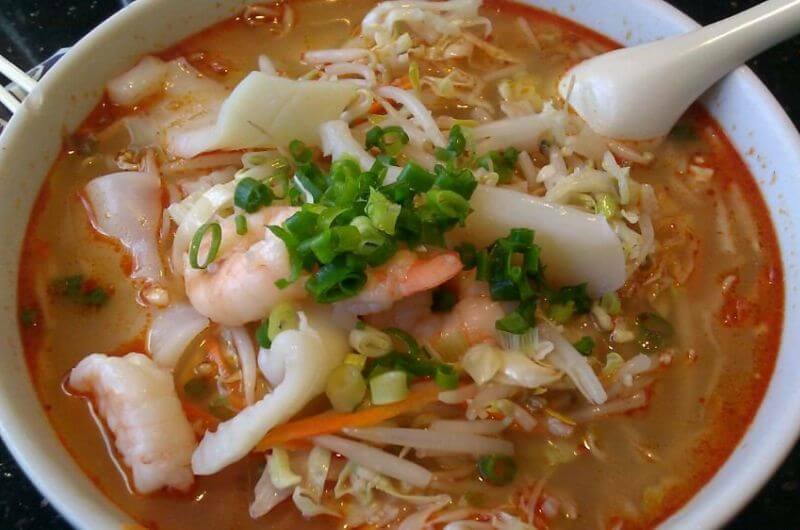 Since ramen is a staple of Japanese cuisine, it’s a wonder we don’t add seafood to it more often. This recipe uses four different kinds, plus enough high-quality beef to add flavor. It’s the everything-but-the-kitchen-sink of ramen with not just noodles but rice too. 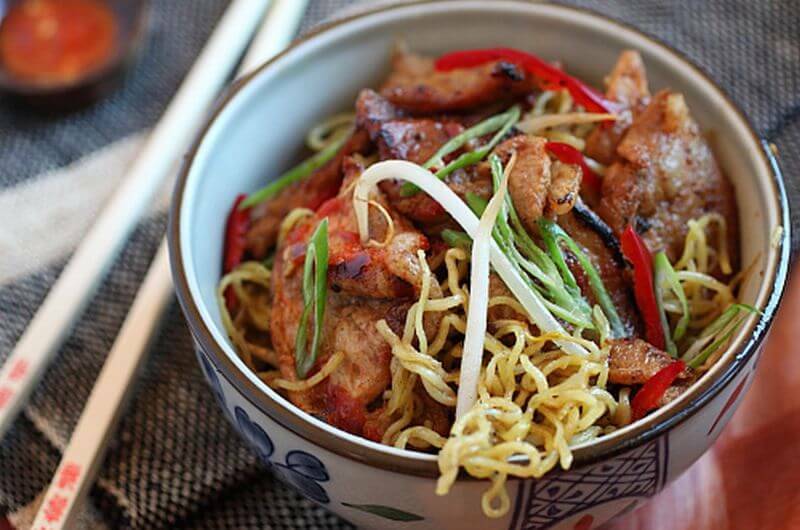 In the end, you’ll be rewarded with an unbeatable high-protein ramen bowl. 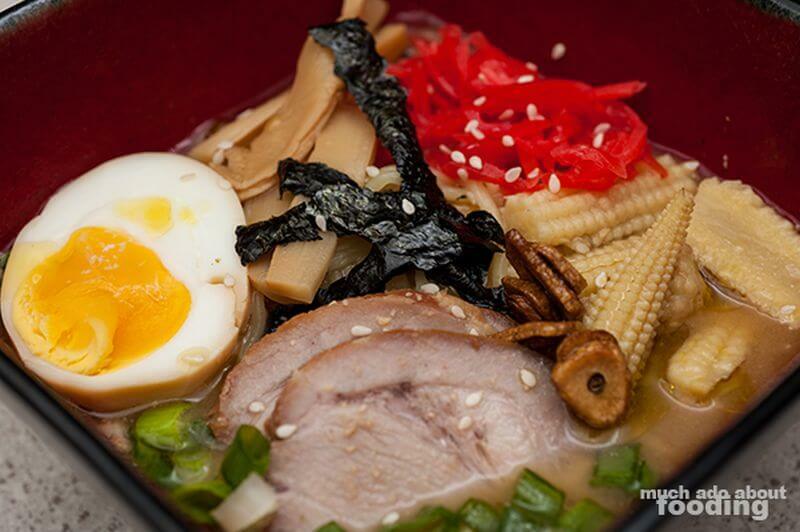 Real ramen isn’t about just the noodles but all the other awesome stuff in the soup. It’s worth taking the time to make an amazing pork roast to go with your homemade ramen. Since it’ll get braised in the oven, the first step is to boil the liquid – a mix of soy sauce and sake with ginger, garlic, and onions. Add two pounds of pork shoulder or pork belly, and then it goes in a low-temp oven to cook for 3 to 4 hours. To make sure it marinates evenly, flip the roast over every hour. If you love to make instant ramen, there’s no reason to stop there. Those simple noodles can be turned into an awesome omelette rather than making soup. 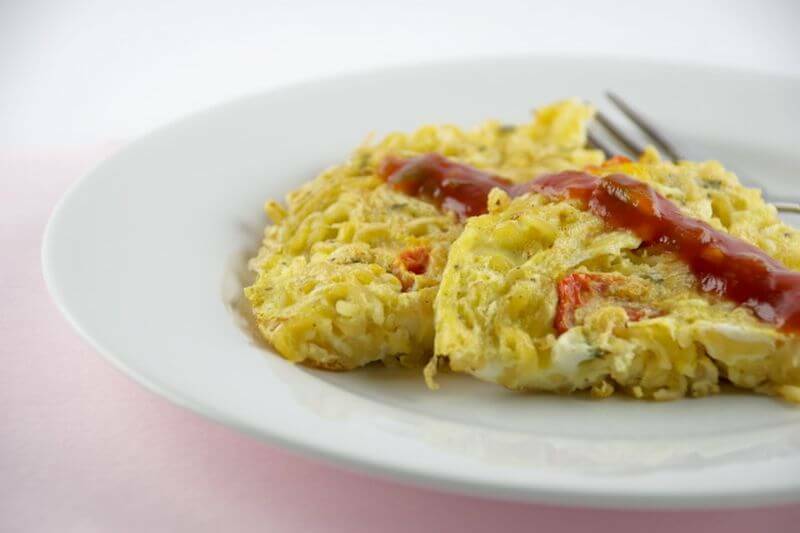 By taking your favorite flavor of ramen to the next level with this omelette, you’ll be adding the nutrition of two eggs. You can also mix in cherry tomatoes, which add vitamin C, or customize this with other veggies. The best part of tossing out the seasoning packet that comes with ramen noodles is that you can replace it with the freshest veggies of the season. That could mean a broth full of asparagus and snap peas, which are used in this recipe. Since spring veggies tend to have a delicious but mild flavor, you can add depth to this ramen with roasted seaweed (nori) and shiitake mushrooms. To make spicy ramen, simply add more heat. And if you’d rather make a mild version of this recipe, look for a regular chili bean paste, like Sichuan douban jiang. Can’t get ahold of either version? You can make your own according to your preferred spice level using broad beans (aka fava beans), fresh chilies, herbs, and oil. Wait at least two weeks for the mixture to dry, and then your homemade chili bean paste will last for a couple years. 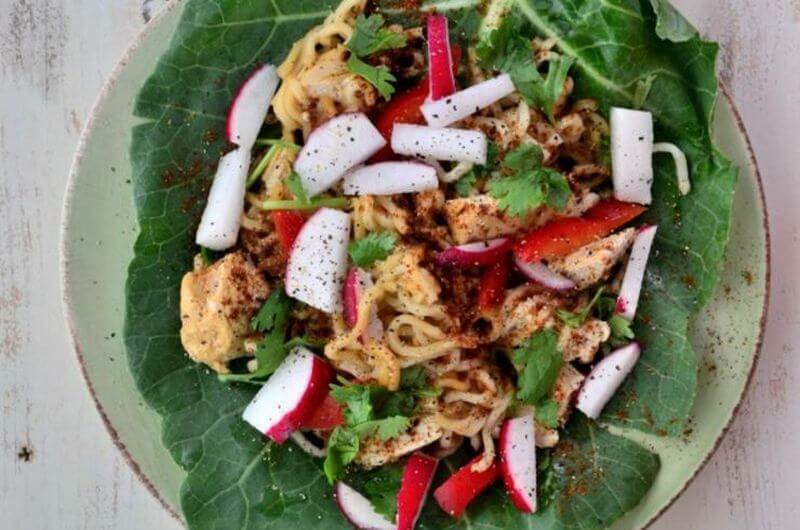 If chicken ramen is your favorite flavor, try these healthy wraps instead. Noodles are combined with shredded chicken breast and a bunch of fresh veggies like bell peppers, radishes, and carrots. To serve, toss all the ingredients in a soy-ginger dressing, and wrap it all up in a large leaf of collard or lettuce to eat like an Asian-style burrito. For real ramen noodle nerds, this is the recipe – or rather set of recipes – you’ll want to perfect. This site also has instructions for the soup base and homemade ramen noodles for those who are feeling adventurous enough to make everything including the pasta from scratch. 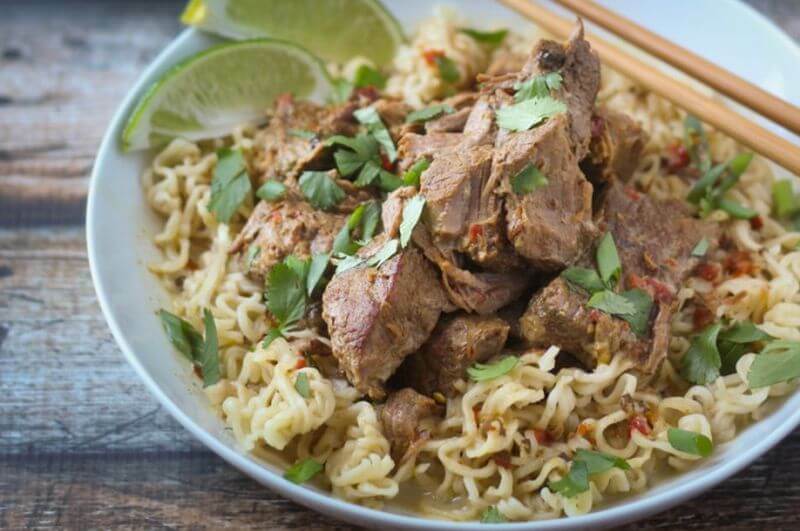 If you’re not ready to take on an intense cooking project, use a few blocks of instant ramen noodles for this recipe, and start with a rich pork or chicken broth, preferably seasoned with ginger and garlic. 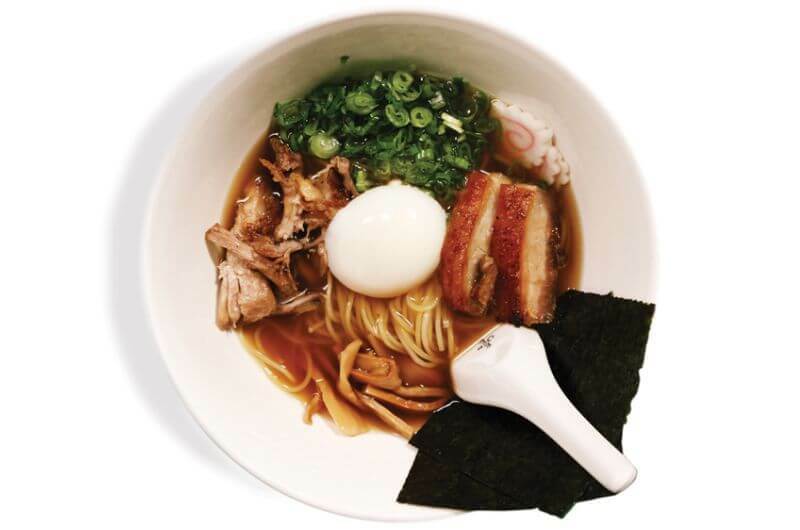 If one restaurant’s name is synonymous with out-of-this-world ramen, it’s Momofuku. And this recipe contains a few of Chef David Chang’s secrets to making an awesome bowl of noodles out of a simple dehydrated package. Where you have to start is a rich, savory broth like this one, which has enough meat to call any carnivore to the table. 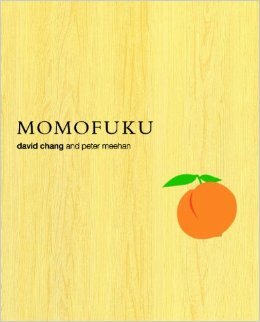 For more about what goes on in the famous kitchen to make Momofuku ramen, be sure to pick up the official cookbook. 1 3” x 6” piece kombu instead of water, but you can make this ahead of time and stock up the freezer. Nutrition facts depend on ramen toppings. 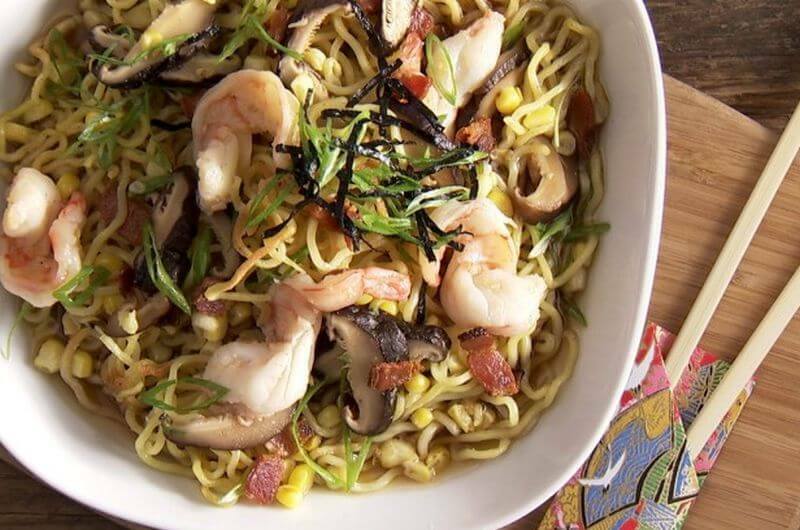 What did you think of these healthy ramen recipes? Have anything else to share? Let me know in the comments below!